From Antioch, California, DaeShawn Forrest is a young Christian Hip Hop Recording Artist who is constantly being taught that living a life for God is truly a lifelong process. At age 19, DaeShawn tries to operate with a plan that includes moral principles which he lives by. However, like many of us during our younger days, God had to remind DaeShawn that it’s not about him. It’s all about Jesus Christ. 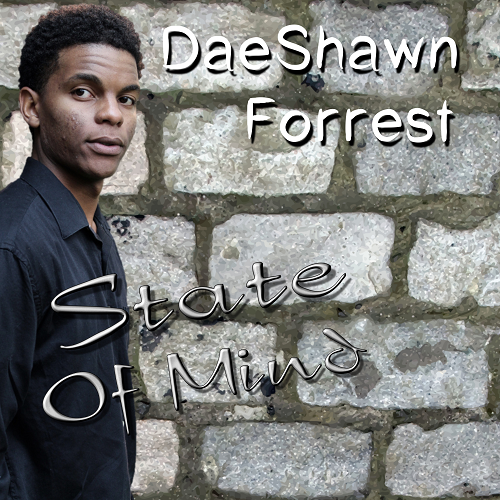 Through his newly released album “State of Mind” DaeShawn recorded his best project ever. His music describes his thoughts and where his state of mind is with Jesus Christ! This album is a head bopping, holy ghost, trap sound, fire blazing, motivational collection of pure gospel truth!